At the moment of Audrey Montgomery’s birth a new world came into existence. It is a barren place, a catalyst for the darkness spreading through the multidimensional system. The shift in power makes Audrey an invaluable pawn in a war between those who want to protect her and those who will go to extraordinary lengths to eliminate her. As a result, she has spent her life on the run, unaware of her true origins. When her father dies and leaves her with a shocking legacy, her life is irrevocably changed. If she has any hope of surviving, Audrey must embrace her new reality and trust a man who is as dark and uncertain as the future itself. Lieutenant Keith Delany, an Interdimensional Officer of the Law (IDOL), is tasked with bringing her in. It is an assignment his entire team is invested in, having spent years searching for her. As a senior member of the squad, Keith is charged with protecting her, with showing her the truth about her past, and with preparing her for an unknown future. As an IDOL he is responsible for every life, for every traveller who navigates the system. But his connection to Audrey is unprecedented, and he soon discovers she alone holds the power to prevent the continuum’s collapse. Author Melissa Barker-Simpson begins a new series with Worlds Apart Series, Book One, The Fifth Watcher. The Fifth Watcher is packed with action; one right after another, leaving the reader on the edge of his/her seat throughout the book. I was captivated from start to finish. Melissa Barker-Simpson does an excellent job creating the different worlds and their dimensions.The characters are strong and filled with personality. Some are shifters, some are borrowers, and some are followers. There is romance mixed in with the action, along with many twists and turns that keep the reader turning the pages. Worlds Apart Series, Book One, The Fifth Watcher is an entrancing and quick read. I highly recommend the book to all science fiction readers. 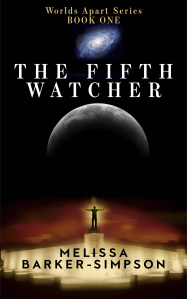 The Fifth Watcher will leave you looking forward to Book Two. Melissa Barker-Simpson fills her days with language and words so she doesn’t get lost among the clouds. She is an interpreter by day, and a pen-wielding conjurer by night. Of course the only thing she conjures belong between the pages of a book, but it doesn’t make them any less compelling. Her most important job, as far as she sees it, is being a mother to two impish teenagers. They keep her feet firmly on the ground, are a huge source of joy (despite the rampant emotions) and allow her to live out her fantasy of being a musketeer! She spends her time living between different communities, one of them being the (mostly) online writing community and giving back the magic that has touched her life. 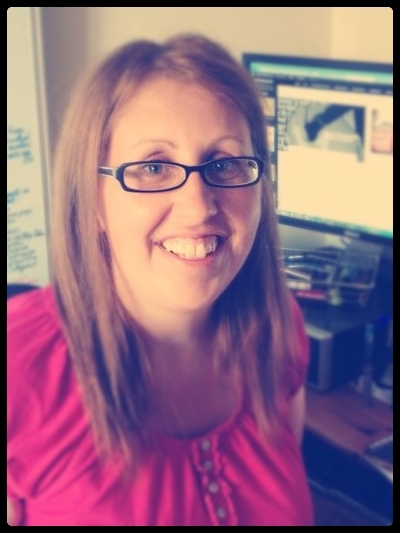 Melissa runs a series of blogs, has a thing for collaboration, and enjoys to support others as often as possible. Thank you, Debra 🙂 that’s a wonderful review. I’m thrilled you enjoyed it. Such a lovely review 🙂 Thanks again, Debra.